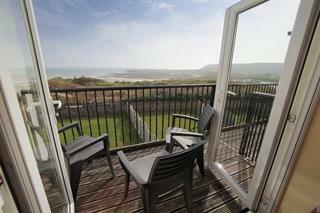 Welcome to Croft Acre Gower Holiday Cottages in Port Eynon. We proudly boast a selection of beautifully presented seaside, holiday homes in the heart of the village, a stone’s throw from the beach. Our self catering cottages are spacious and modern, and an ideal base from which to explore the rest of the Gower. Whether you’re a large group or couple looking for a romantic break, our Gower holiday cottages offer everything you need to make your stay a memorable one. In total, we can accommodate 77 people, ideal for large families and wedding parties. Our Bed and Breakfast caters for 2 people per room, and we can sleep up to 12 in Carreglwyd Farmhouse. The cottages are well equipped with modern appliances to make your stay as relaxing and enjoyable as possible. Tastefully decorated, each cottage is equipped with the latest high spec facilities and gadgets, providing a contemporary yet comfortable ambience. Our cottages are located in the pretty village of Port Eynon, minutes’ walk from the beach where you can enjoy long walks, surfing, horse riding, sailing, kayaking, hang gliding, picnics… the list goes on. The rest of the Gower is yours to explore, a short car journey takes you to Rhossili, Three Cliffs Bay, one of the most photographed beaches in Wales, the quaint seaside village of Mumbles, and the many castles and heritage sites dotted throughout the region. 5 star luxury, self catering,holiday cottages sleeping up to 8 people with uninterrupted sea views .